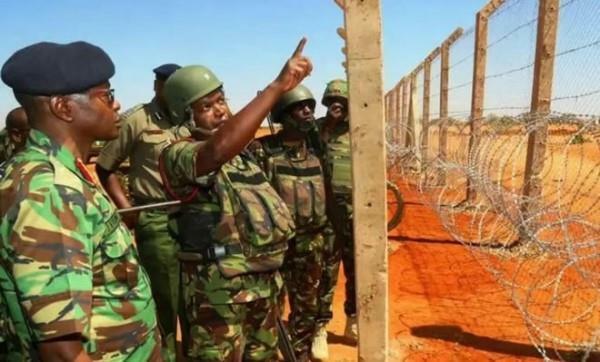 The talks between Somalia and Kenya talks over the construction of the Security wall along the border of the two countries collapsed, officials confirmed on Saturday. Mohamed Mohamud Mohamed, Gedo Governor accused Kenya government of resuming the construction of the wall without mutual understanding with Somalia.
" The resumption of the reconstruction of the wall will soar the good relations between the countries. Kenya ignored any negotiation related to the wall," Mohamed blamed. The governor called the construction as an infringement on the territorial integrity. He urged the Federal Government of Somalia to intervene the situation.
" I call upon the leaders of the Federal Government to take their responsibility and stop the construction of the so-called Security Wal," he said. The government of Kenya had insisted the rebuilding of a 440-mile wall along its border the nation over claims would boost its security. Last week, Mandera County Commissioner Kutswa Olaka said that the Kenya-Somalia border posed a threat to Kenya.